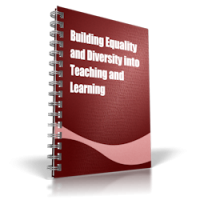 Equality and Diversity UK have produced and collated various resources, information, publications and statistics to improve understanding of issues relating to equality and diversity. We have various packs available on CD for practitioners that contain PDF files, documents, presentations, quizzes and activities to use in colleges, schools and work based learning organisations. These resources also support other providers who work with diverse groups of people and individuals. Packs are available for purchase on CD or we can send by email.